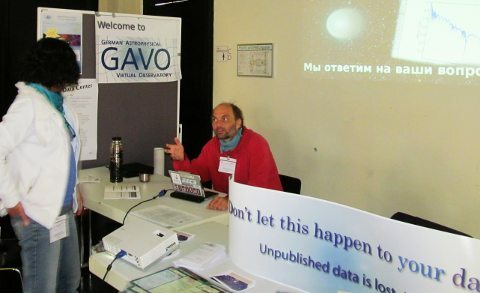 GAVO is also present at all meetings of the Astronomische Gesellschaft (AG); with a booth informing the participants about the VO in general and GAVO's work in particular. 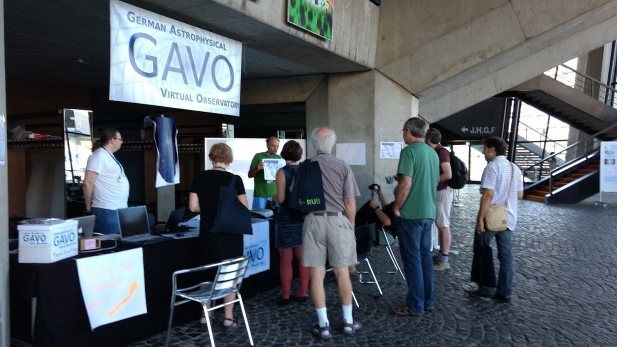 Since the 2008 joint AG-JENAM meeting we regularly organize splinter meetings on topics related to the Virtual Observatory and e-science. If you need support regarding research or publishing data in the VO feel free to contact us and we can arrange for an informal get-together. 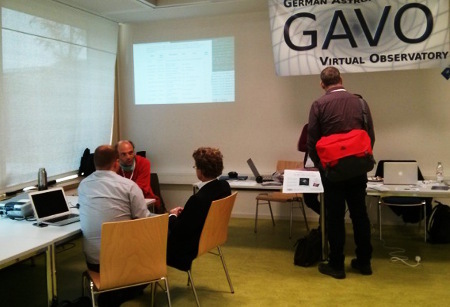 In Bochum, we had a splinter meeting over four slots (Program). Of course, we had a puzzler again, and we gave hints on how to solve it during the coffee breaks on Wednesday and Thursday; you will find them at the top of our solution . 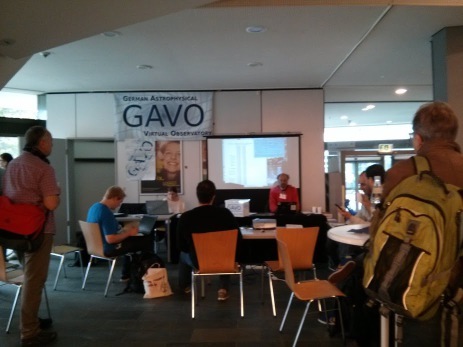 At the AG Meeting in Kiel we had a splinter meeting with several talks covering the range of e-science in astronomy (Program). 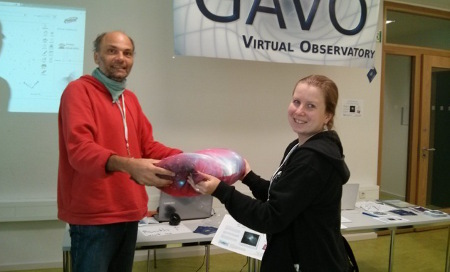 2015's puzzler was about getting a cosy blanket which went to a smart winner from Potsdam. In case you get stuck with this one (people reported it to be rather tought), here are three of our solutions. 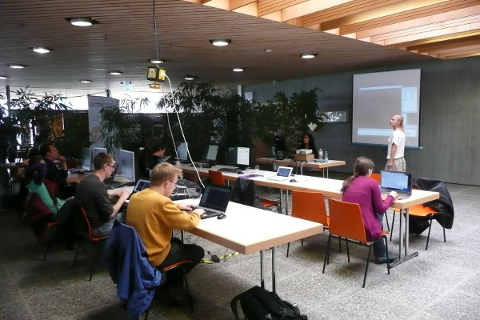 We offered a VO-tool tutorial session to introduce use VO tool use cases to the community. In case you tried your hand on the puzzler, here are our proposed solutions. In Bamberg we also had a splinter meeting again, with a program ranging from handling ancient photo plates to modern software tools to tomorrow's data analysis techniques: Program. 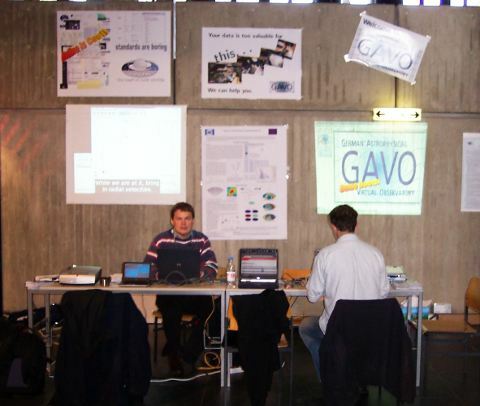 Our booth: (it seems we completely forgot about documenting our presence). 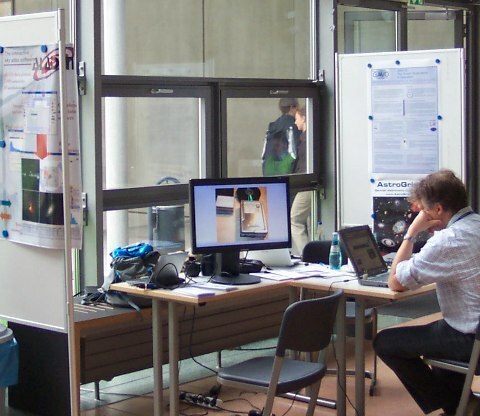 Splinter meeting: Call for Papers, Program. Some of the talks' slides can be found on Documents page. 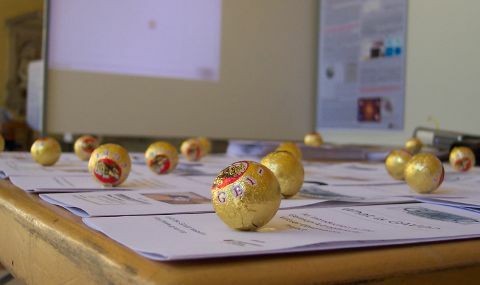 In Potsdam, Alex Szalay gave a VO-oriented plenary talk arguing on "Science with Petabytes". 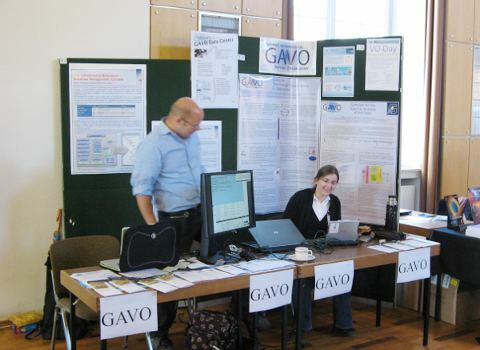 Potsdam was the first AG conference sporting a splinter meeting on the VO and e-science: Call for Papers, Program with abstracts. Some of the talks' slides can be found on Documents page. (c) German Astrophysical Virtual Observatory, distributed under the Creative Commons CC-0 license (unless otherwise stated).